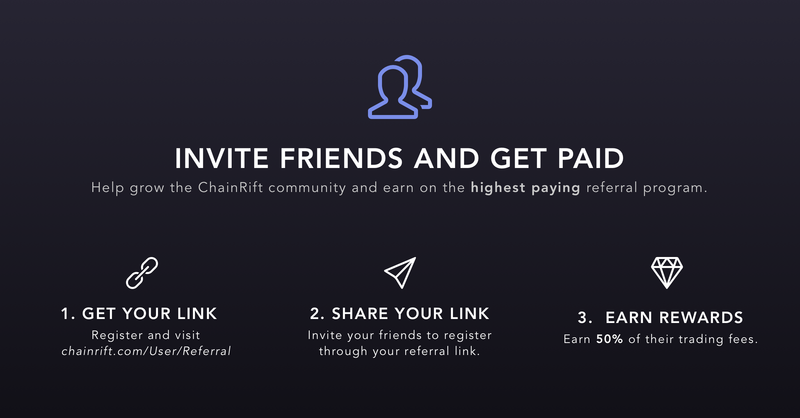 Invite your friends to trade on ChainRift and reap the rewards. Receive 50% of their trading fees for registering under your referral link. Note that this is the highest paying referral program out of all the notable cryptocurrency exchanges. Click here to see your referral link and how much has been paid out to you. Register today, invite your friends, and get paid!